More and more storytelling is becoming on the lists of how to write a blog. I would say that even under the best of circumstances telling a good story is a fair challenge. Now the social guru’s want us to create a storyline over multiple blogposts and in my case with multiple authors. These authors are only united by the logo on their paycheck.., we are colleagues, they work for the same company.., but all in different disciplines and with different objectives. 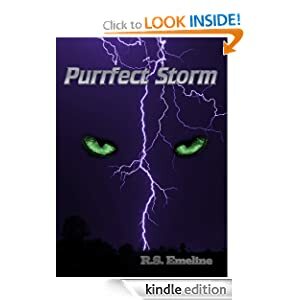 I just finished a book, Purrfect Storm by R.S. Emeline (@RSEMELINE) It’s a short story about.., well.., you read it yourself. Point is.., it’s a great story. It has adventure, romance and a plot. And I enoyed reading it. I can imagine this being a series of blogposts creating one big story which people would want to read and would come back for. So.., how do I get my company to write blogposts that can sustain a cohesive storyline? No seriously.., I’m asking.., because I do not know. According to Coca-Cola every expression on (social) media is part of their story. If it’s not.., it doesn’t get used. They call it Liquid and everything(!) is linked. I reckon we have to find the “voice” of the company and find the story it wants to tell.